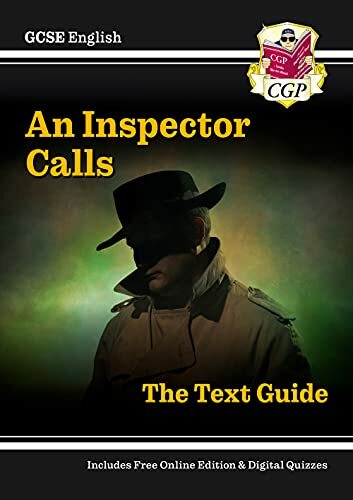 If you're studying J.B. Priestley's 'An Inspector Calls' for Higher Level GCSE, this CGP Text Guide contains everything you need to get the best marks possible for your essays! It's got crystal-clear, easy-to-read notes on the plot, characters, themes, writer's techniques and historical background. There's also a big range of practice questions in each section - these will test your understanding and give your exam technique a workout. It's all rounded off with a section of in-depth exam advice and a cheeky comic-strip that summarises the whole play. This updated edition is suitable for all GCSE English courses, including the new exams starting in June 2017!